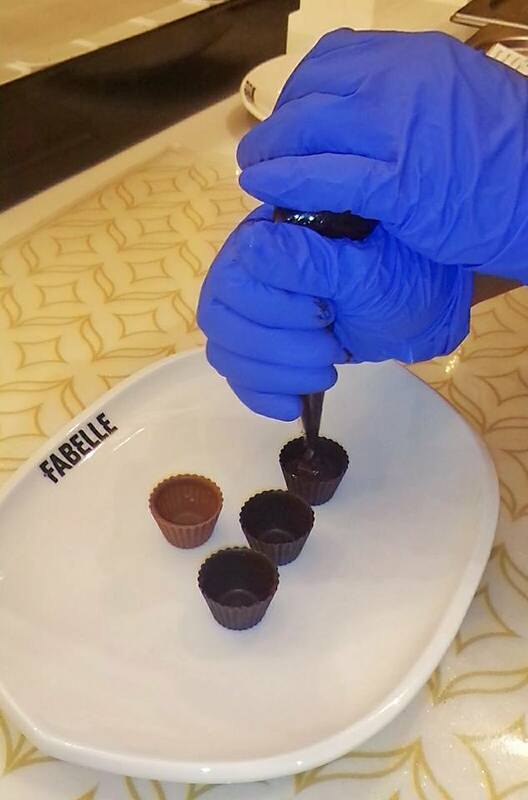 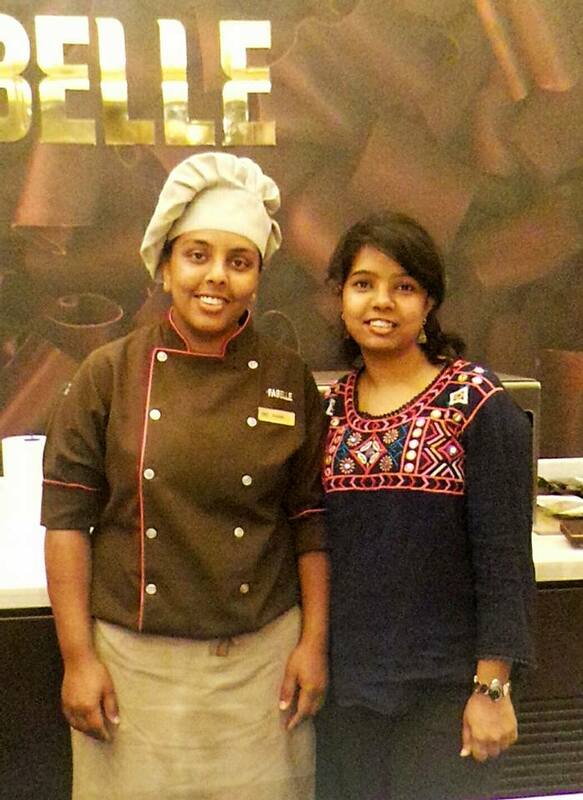 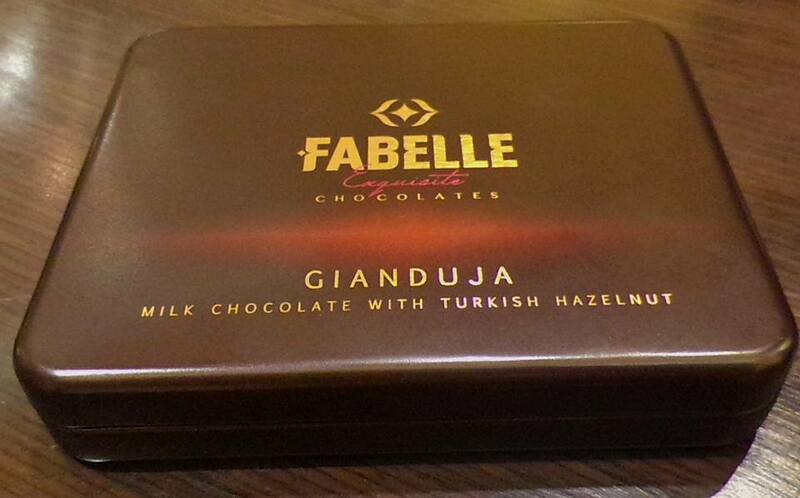 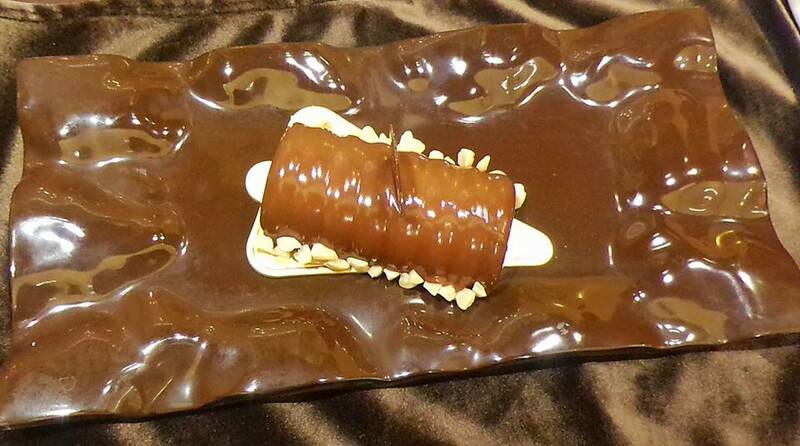 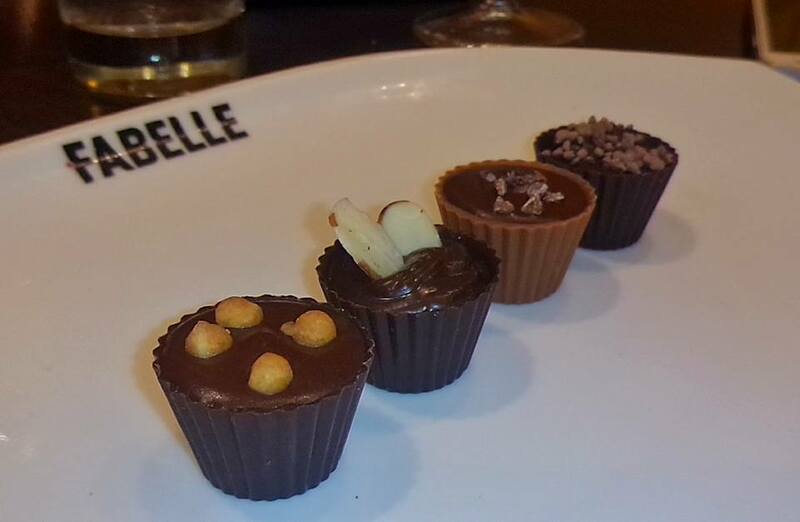 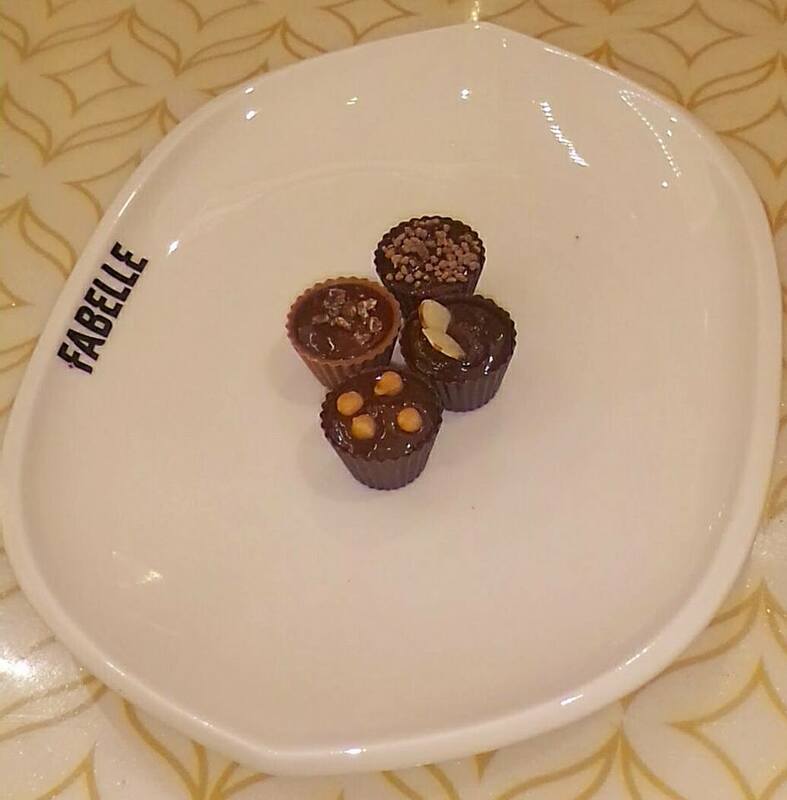 ITC is set to redefine the luxury chocolate space in India with Fabelle. ITC’s Fabelle Chocolates have been in the making for almost a decade, with extensive research and innumerable trials in the company’s pursuit to craft the finest luxury chocolates in India that rival the best in the world. Fabelle was created by a congruence of international chefs together with ITC master chocolatiers to craft the finest quality chocolates, using choicest ingredients from across the world. 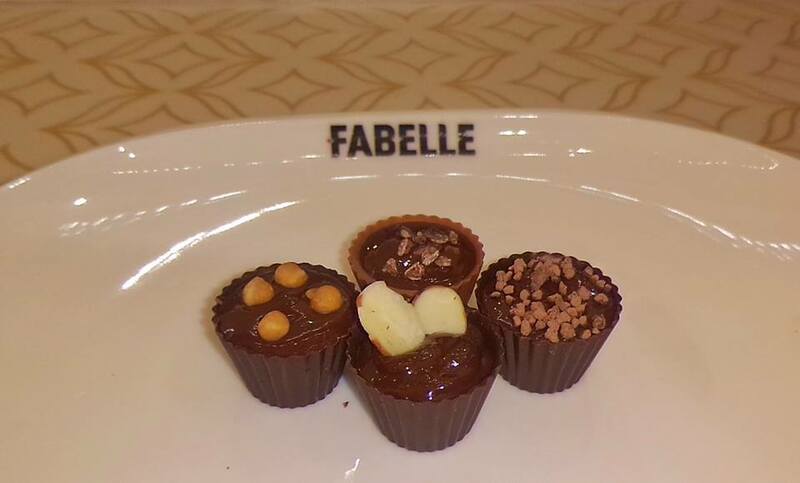 With the launch of the chocolate boutiques at ITC Maratha & ITC Central in Mumbai, Fabelle will be present nationally across Delhi, Bangalore, Chennai, Mumbai & Kolkata. 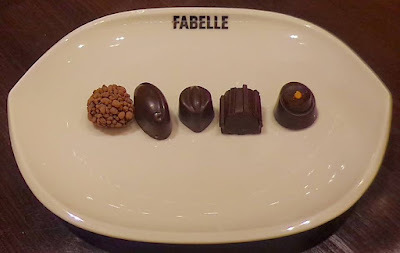 Fabelle offers a range of exquisite chocolate creations such as Fabelle Elements - intricately crafted pralines inspired by the elements of nature. Fabelle Elements have been created with 26 different unique ingredients sourced across from 7 different countries to delight the Indian chocolate connoisseur who seeks evolved chocolate experiences. 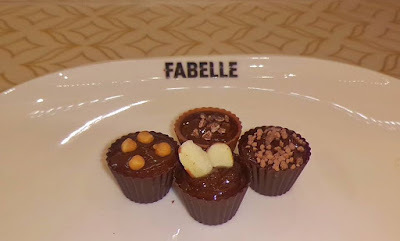 Fabelle Ganache - velvety soft cubes of exotic cocoas delicately churned with butter & fresh cream, A Fabelle Ganache is a sheer masterpiece crafted with meticulous conching that brings out the most sensational flavors and aroma along with the melt-in-mouth experience. 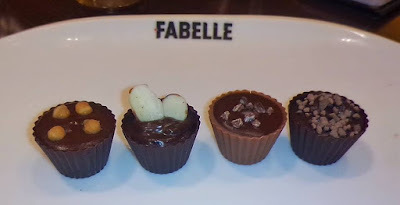 Fabelle As You Like It – personalized chocolate cup creations offering myriad possibilities of fillings and toppings, Fabelle Single Origin Cacoas – single origin bars, crafted using cocoa from 6 different countries (Madagascar, Dominican Republic, Venezuela, Ecuador, Sao Tome and Ghana), each asserting its own distinct flavour and Fabelle Gianduja - recreation of an Italian delicacy from the Napoleon era fashioned with infusion of hazelnuts into rich, creamy milk chocolate. The chocolate boutiques will provide a range of exquisitely crafted desserts and cocoa beverages, created live by Fabelle Master Chocolatiers. 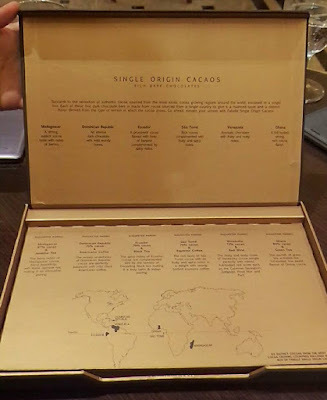 Additionally, they will also have opulent gifting options which can be customised as per requirements for diverse occasions. ITC has set up a state of the art facility with best in class technology to manufacture Fabelle chocolates in India. ITC is sourcing impeccable single origin cocoas from the best cocoa growing regions in Africa and South America such as Madagascar, Ivory Coast, Venezuela, Saint Domingue and Sao Tome. The diversity of each country lends a unique magical taste and feel to the chocolates. 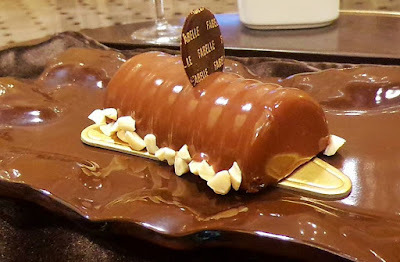 A Vanilla Cremeux bar with Saint-Domingue chocolate mousse has been crafted with a 70% single origin Saint-Domingue chocolate which has strong cocoa notes. 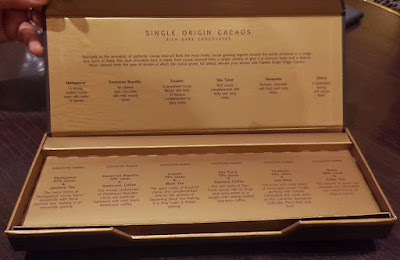 Similarly, chocolates from Sao Tome have fruity and spicy under notes which have been used to craft the classic warm cocoa. It has been paired with Lankan cinnamon, black pepper, frosted with whipped cream and cocoa nibs. 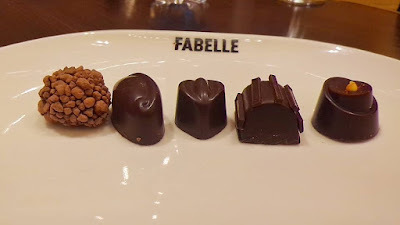 An evening at Fabelle for two - Rs. 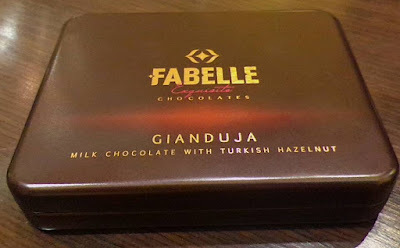 1250 approx.